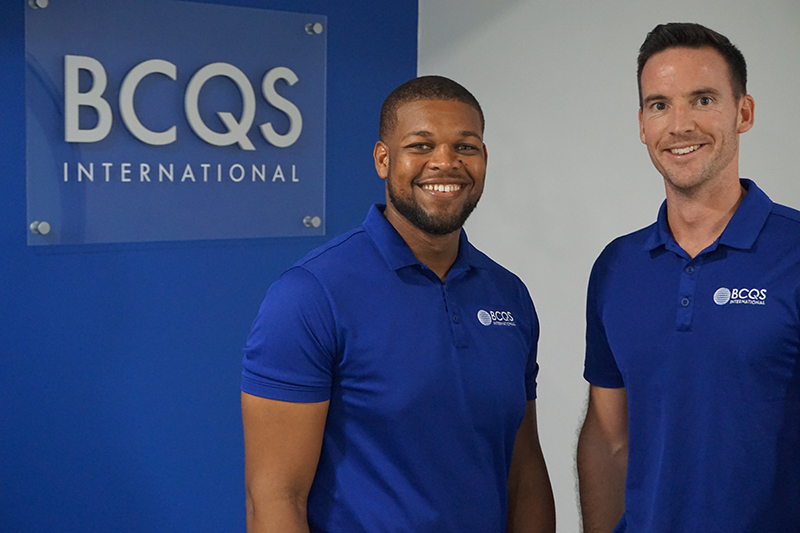 Tortola, British Virgin Islands, 11 February 2019 – BCQS International is pleased to announce the promotion of Kevi Potter and Sam Lawton to Associate Directors, based in the British Virgin Islands office. “It is indeed humbling for my efforts and abilities to be recognised in this way, and I am excited to be a part of the continued growth of BCQS,” says Kevi Potter. Sam Lawton states, “I am thrilled to be making the next step in my career with BCQS. Since moving to the BVI 4 years ago, I’ve witnessed the growth of BCQS first hand, and I’m very excited to be part of their continuing progression throughout the Caribbean”. BCQS continues to dominate the property market in the Caribbean. Over the past 50 years, they have achieved this level of success organically through commitment, focus and investing in the very best people in the region. Succession planning in BCQS is critical in identifying the next generation of business leaders and allowing them to develop with strategic guidance to identify and pursue new opportunities.